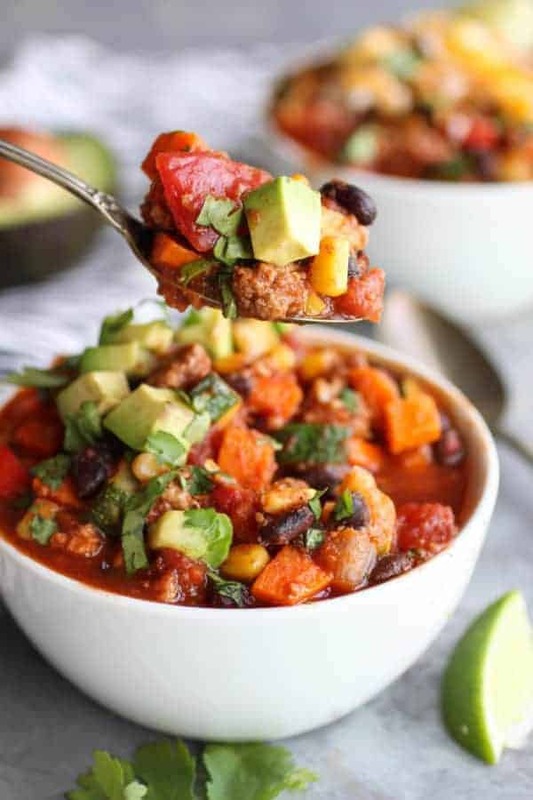 What’s not to love about a good ol’ bowl of hearty & delicious Veggie Loaded Turkey Chili!? When the weather turns cold, warming up with a bowl of chili is about as good as it gets! Veggie Loaded Turkey Chili is one of my go-to recipes and has been for quite some time. In fact, it was one of the very first recipes I shared on my Facebook page. Before The Real Food RDs’ blog even existed and before I even knew Jess. It’s aways fun to look back and see how far we’ve come and the community we have grown. In less than 2 years, we’ve gone from a blog that didn’t exist to one that accumulates around 1 million views/month. Crazy, huh?! 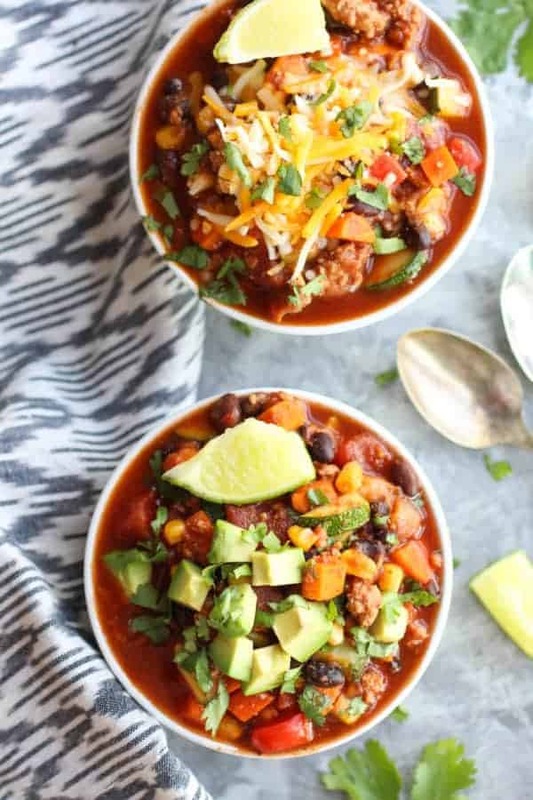 Veggie Loaded Turkey Chili is everything you need, all in one bowl. 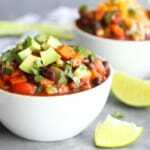 One thing I love about this Veggie Loaded Turkey Chili is that not only is it loaded with veggies and my hubby will eat it (picky eater approved) BUT that it’s a complete meal. It has everything you need including quality protein, tons of veggies, 9 g of fiber per serving and an adequate source of healthy fats when topped with avocado <– which I highly recommend. 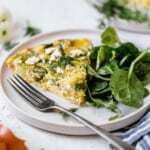 You can up the ante on veggies even more by serving it over a bed of greens or add heartiness by serving it over a baked sweet potato or winter squash, a heavenly combination if I’d say so myself. 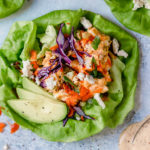 Additionally, this recipe is freezer-friendly so if you’re looking to stock your freezer with some easy meal options, go ahead and double this recipe. I like to freeze this chili in 1 1/2 cup servings so that I can reheat just what I need. If you pre-chop the veggies the day or two before, you can save a considerable amount of time and have dinner on the table in less than 30 minutes. Woot! 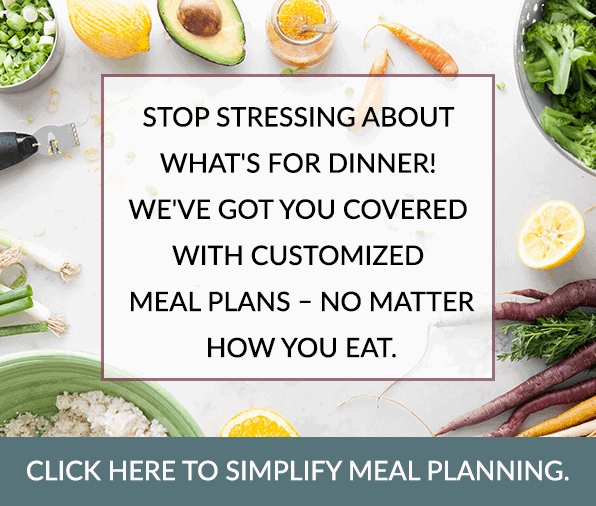 We’re all about easy weeknight meals and if you’re a consistent reader of our blog, you know we’re fans of weekend meal prepping. Pre-chopping veggies makes for a big time saver during the week. The world is your oyster when it comes to topping your bowl of Veggie Loaded Turkey Chili. There are so many options including some of my faves – avocado or guacamole, cilantro, chopped jicama, fried plantains, Kalona SuperNatural sour cream, cheddar cheese, Jalapeños and Jackson’s Honest crushed chips. You do you! 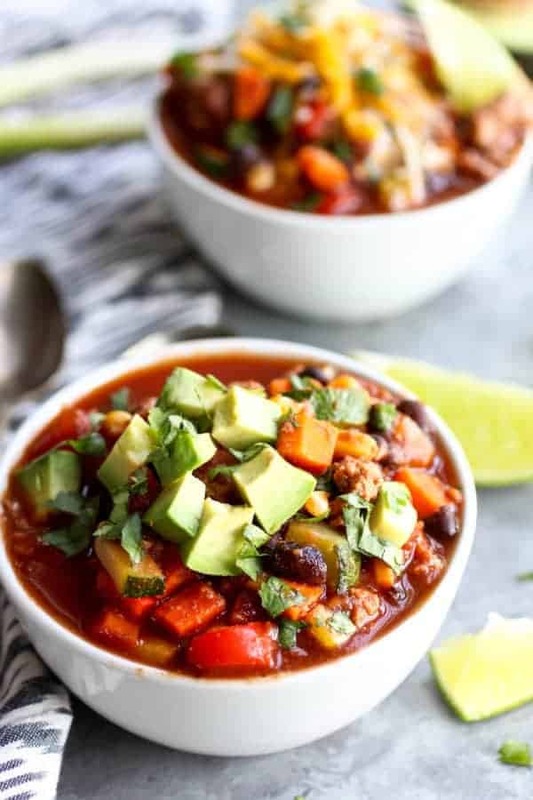 And if you love this recipe, I also recommend you give our Slow Cooker Pumpkin Chili or our Chipotle Turkey Sweet Potato Chili recipe a try! When the weather turns cold, warming up with a bowl of Veggie Loaded Turkey Chili is about as good as it gets! In a large pot or soup kettle over medium heat add the oil. 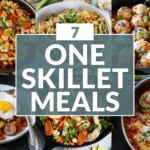 Once the oil is hot, add ground meat, garlic, onions, bell peppers, zucchini or yellow squash, and carrots and sauté for 7-9 minutes or until meat is cooked and no longer pink. Add seasonings, tomato sauce, crushed tomatoes, beans, corn, and water. Bring to a boil over medium-high heat. Reduce heat to low, cover, and simmer for 15 minutes or until carrots are tender. Serve with toppings of choice. Select ‘Saute’ on the Instant Pot. Add oil and when oil is hot, add ground turkey. Use a spoon to break up the meat and saute 7-8 minutes or until turkey is almost cooked through. Add garlic, onions, bell peppers, zucchini or yellow squash, and carrots and sauté for an additional 5 minutes or until meat is cooked and no longer pink. Add chili powder, cumin, tomato sauce, diced tomatoes, beans, corn, cayenne (if using) and 1 can of water or broth. Stir, lock lid into place and set vent valve to ‘Sealing’ position. Select ‘Manual’ or ‘High Pressure’ setting and cook for 10 minutes. Allow for 5 minutes natural pressure release before flipping the valve to venting to release the remaining steam. Taste and season with salt and pepper, to taste. Serve with additional toppings, as desired. Follow directions for Stovetop version through Step 1. Add turkey and vegetable mixture to slow cooker. Add remaining ingredients (except salt and pepper) and stir to combine. Looks delicious!! We will have to try this this fall for sure! This is not whole 30 approved if you put black beans, corn, sour cream, or cheddar cheese in it. That’s the ingredients I miss!!! This sound more like a South Beach diet or weight watchers diet. You are correct in that this recipe is not Whole30 due to the inclusion of beans, corn and dairy. 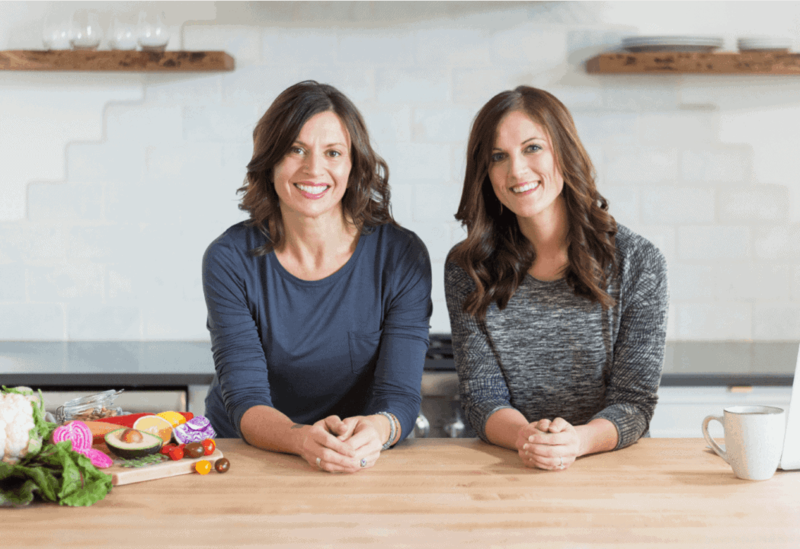 Not all of the recipes on our site are Whole30-compliant though they are real food-based and may fall into many categories such as though you listed, vegan, gluten-free, etc. What’s the best instant pot or slow cooker version of this – what setting/how long would you cook it for? Hi Hayley, we have not tried this recipe in a slow cooker or instant pot but I’m sure it could be done. 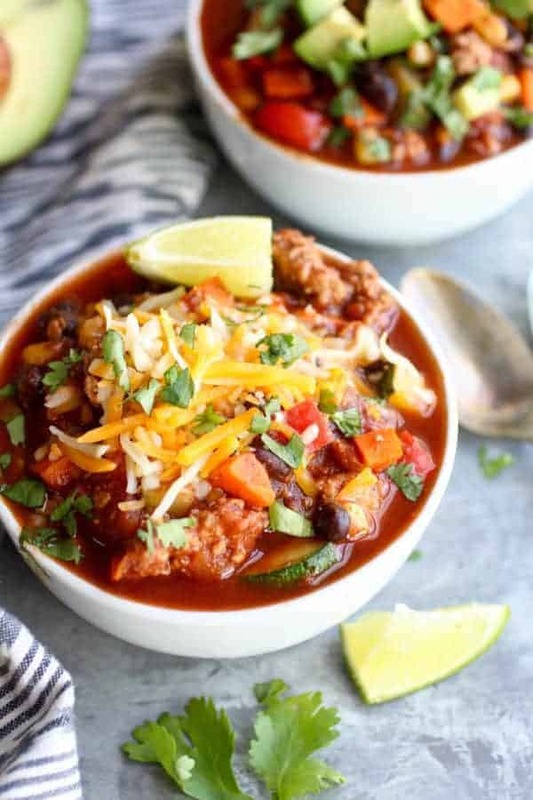 You could probably make it similar to our slow cooker pumpkin chili recipe: https://therealfoodrds.com/slow-cooker-pumpkin-chili/! 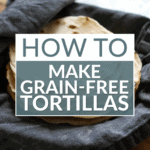 If you do try it in the slow cooker or instant pot, we’d love to hear how it turns out for you! 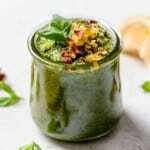 Could you possibly recommend an instant pot alternative for this recipe? 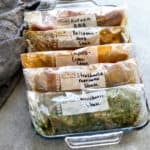 I came to your site searching instant pot recipes and absolutely love your curry chicken and lamb curry recipes. I’m hooked on the instant pot now but not sophisticated enough to alter recipes to instant pot yet. 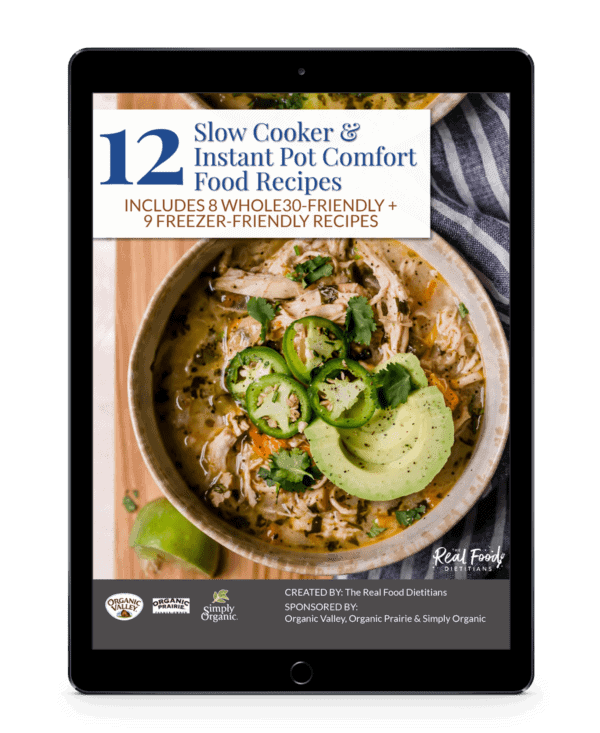 I absolutely love that it that some of your recipes offer stove-top, slow cooker and instant pot alternatives. I’m hoping to make this one in the instant pot. I did look at the pumpkin chili recipe as suggested to try to cross reference but no instant pot recommendations there either. Thanks for any suggestions you can offer (I won’t hold you to perfection for suggestions 🙂 I am capable of adding minutes at the end if it turns out that is necessary). Hi Lynn, I have not made this recipe in the instant pot as it so quick to make on the stove-top. If i were to make it in the IP I would use the saute setting for step one and for step two I would use the manual setting on high for maybe 8 minutes. Hope that helps. Thank you so much for the conversion suggestion. I hadn’t thought about it maybe being easier stove-top. I have to admit I like the instant pot because I don’t have to monitor the stove, even if for a short period of time, and no burning pots! I did try this as the stove top version after getting your advice and I love the recipe. I didn’t have plain tomato sauce on hand so I used an unsweetened roasted garlic tomato sauce, also I didn’t have zucchini so I substituted cauliflower, it came out great! Now I will use your instant pot very educated guess and make it again. Thank you so much for your advice. Thanks for sharing this – glad you loved the recipe! We’d love to hear how it goes if you use the Instant Pot next time. Super yummy! Made this for a potluck. I doubled the recipe, added an extra can of great northern beans (feeding a crowd), and replaced the regular tomato sauce with El Pato tomato. It got devoured! This is awesome! Thanks for sharing – so glad it was such a hit! This sounds delicious! How long would this take in the instant pot? I would say this would take about 25 minutes in the Instant Pot – though I can’t be sure since I haven’t tried it. Maybe start with 20 minutes, release the pressure and check for doneness – adding a few extra minutes as needed. I was wondering what 1/6 of your recipe would amount to. I used this recipe but nearly tripled it. I’m trying to estimate the calorie in a bowl. This is the best chili I have ever made! And, so easy to prepare. Will definitely be doubling it next time, to have some waiting in the freezer. Hi stacie, I made this for my son. Hopeful that he would try it. I’ve been stuck for a while now, making the same comfort foods as always. My hard work (did not pre chop veg) paid off and he loved it. This recipe is super easy and tastes delicious. Great healthy alternative to chili!!!! So great to hear! This recipe is one of our favorites! In step 3 of the IP it says to add coriander but coriander isn’t in the recipe. Thanks for the catch. Recipe has been updated. This chili is awesome! I entered my college’s Residence Life Chili Cook-Off and placed 3rd with this chili! I added double the chili powder, because I like spicy chili, and used chicken broth instead of water. It is awesome chili and all for only around 300 calories a serving!! Definitely saving this recipe to make again. Yes! Congrats on your 3rd place finish – incredible! Thanks for sharing! This was awesome!! AND Hubby approved!! Something that tastes this good should not be so easy. Should note that there is not spicy so add your own touch – this will be my go to chili now. Hahahaha! We love hearing that. And we agree, as is it’s not spicy so feel free to dress it up and spice it to your taste.